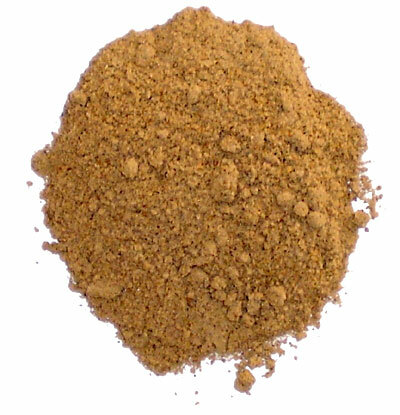 Chat Masala is a spice blend, which is called "masala" used in Indian snacks called "chat". Chat or Chaat literally derived from word “tasting” and usually consist crispy snack, vegetables (e.g. boiled potatoes, onions, tomatoes) and yogurt-based sauce. The spice blend of Chat Masala defers but it usually consists of amchur (dried mango powder), cumin, black salt (Kala Namak), coriander. Other ingredient may include, black pepper, asafetida, capsicum, dried red chili powder (mirch), carom seed, nutmeg, caraway seeds, cloves, bishop's weed, musk melon, pomegranate seeds, etc. Also spelled Chaat Masala.